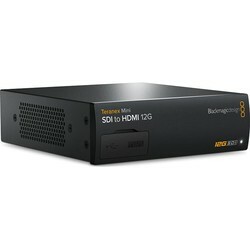 A really handy tool for every team that is making the transition from HD to 4K. 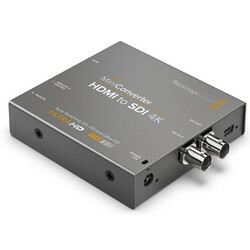 With so many different and rival 4K interfaces already on the market, this is an essential and highly affordable piece of kit. 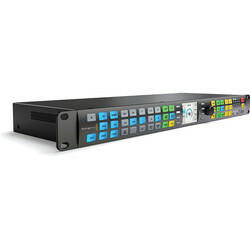 Allows conversion to and from quad link HD-SDI, dual link 3 Gb/s SDI and now single link 6G-SDI video connections. 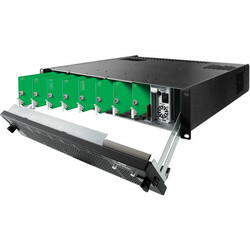 Can handle different types of Ultra HD SDI connections as well as performing 4:4:4 Single Link and Dual Link 4:4:4 conversions. 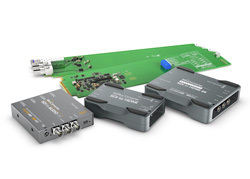 Perfect for interfacing between the latest 6G-SDI Ultra HD products and older Ultra HD equipment such as displays that use 4 separate HD-SDI connections.